In late 2016, the Center completed five successful years facilitating the Executive Committee, Leadership Team, Advisory Board, and annual meetings of the Northwest Advanced Renewables Alliance (NARA), a five-year, $40 million project supported by the US Department of Agriculture. The project addressed the environmental, social, and economic challenges of developing a sustainable supply of wood-based jet biofuels for the Pacific Northwest. The Center provided facilitation that ensured productive interaction among project leaders, researchers, and external stakeholders. The Center also engaged policymakers at all levels throughout the Northwest via briefing papers. The project culminated in November 2016 as Alaska Airlines and NARA partnered on an historic first commercial flight using wood-based biofuel, produced by the NARA team. 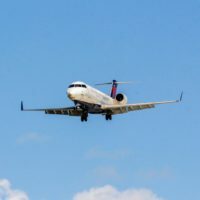 Now, the WSU Office of Clean Technology has asked the Center to facilitate biannual meetings of the Sustainable Aviation Biofuels Work Group, which the State Legislature re-instituted in its 2018 Supplemental Operating Budget. For more information visit the Aviation Biofuels project page. 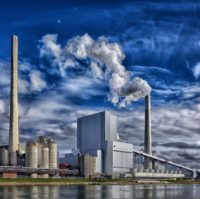 The Washington State Department of Ecology (Ecology) asked the Center to facilitate meetings of a multi-sector advisory committee to help Ecology and the State Department of Health (DOH) develop a Chemical Action Plan (CAP) for Per- and Poly-Fluorinated Alkyl Substances (PFAS). A CAP is a comprehensive plan to identify, characterize, and evaluate all uses and releases of a specific persistent bio-accumulative toxin (PBT) and recommend non-regulatory actions to protect human health and the environment from the PBT. The Center facilitated two Advisory Committee meetings in 2017 and will facilitate two more (fall 2018 and spring 2019), after assisting the state agencies in assembling a diverse and balanced Advisory Committee. The Center communicates regularly with key members of the PFAS CAP Advisory Committee to understand Committee member positions on key issues, challenges, and opportunities. The Center is also providing university-based research for the project by a senior in the WSU School of The Environment (SoE), with a lead chemist at Ecology to research military specifications for firefighting foams in the US and abroad and identify possible safer alternatives to the foams that might fulfill military specifications; if it emerges that the alternatives do not meet the specs, this could prompt a reexamination of the specs to allow for safer alternatives. The Center will facilitate Committee review of a draft CAP and input into the final CAP, targeted for spring 2019. Following the completion of the CAP, the Center will conduct an evaluation of the Advisory Committee process intended to pinpoint potential improvements to inform future CAP efforts. For more information, contact Project Manager Chris Page. In 2015, Washington State legislators asked the William D. Ruckelshaus Center (Center) to design a process for a comprehensive and collaborative look at the Growth Management Act (GMA). To gauge support for this effort and identify an appropriate scope, the Center conducted a Pre-Assessment from October 2016 through June 2017. The Pre-Assessment consisted of a series of conversations with individuals from dozens of groups, organizations, tribal, state, and local governments. Based on input from the parties, the Center recommended a process to: (1) articulate a vision of a desired future for Washington, and (2) examine the planning framework that provides the path to reach that desired future. The growth planning framework in Washington includes the Growth Management Act, the Shoreline Management Act, the State Environmental Policy Act and other laws, institutions and policies. The Legislature responded to the pre-assessment by allocating funds to the Center for a two year project to create a “Road Map to Washington’s Future.” The budget proviso outlined a scope, schedule, and general process for the project. The purpose of the project is to articulate a vision of Washington’s future and identify additions, revisions, or clarifications to the state’s growth management framework of laws, institutions, and policies needed to reach that future. After decades of little progress on addressing recurring and severe flooding, as well as declining fish populations in the Chehalis Basin in southwest Washington, the Center has facilitated impressive headway by the Governor’s Chehalis Work Group over the past six years. With the Center’s guidance, the Work Group reached consensus in 2012 on specific recommendations that the Legislature funded with $28.2 million in 2013. In 2014, the Work Group recommended an integrated strategy of long-term flood-damage reduction and aquatic species restoration in the Basin. The Legislature provided $50 million in 2015 to take the first steps toward implementing the strategy. 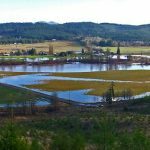 On-the-ground projects are now being constructed to reduce flood damage and restore salmon runs while leaders evaluate the need for larger, long-term actions to protect the community and restore the Basin. The Legislature also created an Office of Chehalis Basin in the Department of Ecology to give continuity to implementation of the flood-reduction/species-restoration strategy, and a Chehalis Basin Board to oversee the new office and ensure the strategy continues to be led by community and tribal leaders. The State Legislature approved a $60 million budget appropriation in the 2017-2019 state capital budget to continue implementing the strategy over the next two years. The Center will facilitate the new Chehalis Basin Board, support technical analyses, and organize technical, policy, and public workshops, and outreach to interested parties. Visit the Chehalis Basin Strategy website. 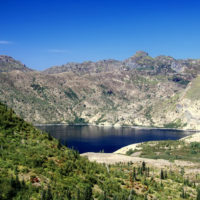 Changes to the Spirit Lake and the Toutle River system from the 1980 eruption of Mount St. Helens put the region at ongoing risk of moderate and potentially catastrophic flooding, due to the buildup of sediment. Engineering measures from the 1980s to reduce flooding risks now need costly repairs or modification, presenting an opportunity to re-evaluate risk management strategies. The U.S. Forest Service (USFS) has asked the Center to conduct a situation assessment on long-term management of risks, given the different economic, cultural, and social priorities of regional stakeholders and the respective roles of federal, tribal, state, and local authorities, and other groups in the region. The Situation Assessment for the Long-term Management of Spirit Lake/Toutle-Cowlitz River System is an interview-based assessment process in coordination with the Washington State Academy of Sciences (WSAS), which if requested by the interested and affected parties, would build on the available base of technical and scientific information. The assessment will also explore prospects for a collaborative system-level entity to identify the resources and additional information needed to inform long-term management decisions. If circumstances prove favorable to a collaborative process, the Center would, among other findings in a summary report, articulate how to design the process for the highest likelihood of success. The Center will produce a report by March 31, 2019. For more information, contact project manager Chris Page at c.page@wsu.edu. Developmental and intellectual disabilities (DD/ID) are a diverse group of chronic conditions that are due to mental and physical impairments, including Down Syndrome, Cerebral Palsy, autism, pervasive developmental disorders and intellectual deficits. 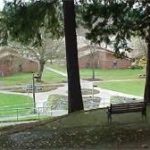 Washington state provides different residential models for people with DD/ID, ranging from four state-run ‘Residential Habilitation Centers’ (RHCs) to varying degrees of home and community-based services, including residential, habilitative, therapeutic and vocational services. The legislature, DSHS, unions, providers, advocates and families have debated for decades the merits and challenges of quality of care, access to services and costs of delivery between models. DSHS and the legislature have asked the Ruckelshaus Center to provide process design and neutral facilitation to help parties reach consensus-based solutions around the mix of service venues, other potential uses of facilities and related policy recommendations to the legislature. For more information, contact Project Manager and Senior Facilitator Kevin Harris, or visit our health policy initiative webpage. In 2016, U.S. Representative Derek Kilmer’s Office, the Washington State Department of Ecology (Ecology) cities of Ocean Shores and Westport, the Quinault Indian Nation, Grays Harbor County Emergency Management, the Port of Grays Harbor, and other state and federal agencies partnered to create the Grays Harbor Resilience Coalition. Staff from U.S. Rep. Kilmer’s Office and Ecology contacted the William D. Ruckelshaus Center (Center) seeking independent facilitation services, originally around convening the Coalition partners to develop a 2017-2019 biennial budget request for coastal resilience projects. 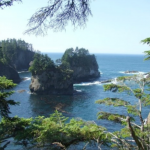 Over a series of conversations, the Center suggested that—while the Coalition as presently constructed may decide to continue pursuing a budget request specific to Grays Harbor County— given the coast-wide scope and the shared interest in increasing coastal resilience it appeared to be an opportune time to begin developing a coast-wide approach. 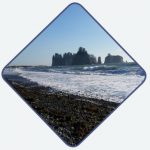 To identify a path forward that would be embraced by and meet the needs of both “top-down” and “grass roots” interests, the Center suggested conducting an assessment consisting of a series of interviews with key parties to explore opportunities that support long-term resilience to natural hazards for the Washington coast and coastal communities. An Assessment Team composed of Center affiliated faculty and staff with assistance from a consultant carried out the assessment using an interview-based process. Interviews took place from mid-October 2016 through February 2017. The Assessment Team conducted 104 interviews and conversations with individuals who are involved in organizations with a particular role, interest in, or knowledge of coastal resilience efforts. The goal was to gather a range of perspectives, information, and insights about approaches, processes, structures, and resources needed to enhance and support resilience efforts for the coast and coastal communities. Read the Assessment Report (pdf). View the Executive Summary (pdf). For more information, contact Project Managers Amanda Murphy and Phyllis Shulman. 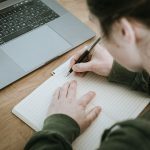 State and federal investigations have uncovered deceptive and illegal practices in some for-profit higher education institutions and private vocational schools (career colleges). The Washington state Legislature in 2018 passed Engrossed Second Substitute House Bill 1439, which directs the completion of the study the Center began in 2016 to “objectively analyze and make recommendations about systemic overlaps and gaps in jurisdiction regarding for-profit post-secondary degree-granting institutions and private vocational schools” in Washington state. The collection, reporting, and sharing of student-level data among agencies and with the public. Read the Situation Assessment Report (pdf). Read the For-Profit Degree-Granting Institutions+Private Vocational Schools Phase II Report (pdf). 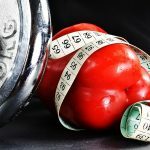 The Ruckelshaus Center provided process design and facilitation services to the Snohomish County Health Leadership Coalition’s LiveHealthy2020 initiative during the early formation year. The Coalition was a convener of over 140 public and private sector, non-profit and civic organizations, with a collective vision of improving the health and economic vitality of Snohomish County by improving nutrition, increasing physical activity, enhancing mental and emotional health, and fostering civic health and connectivity. The Center helped the Coalition design and implement collaborative processes to scale ‘accelerator’ efforts to positively impact Snohomish County population health outcomes. For more information, contact Project Manager Kevin Harris. Spirit Lake Photo by: Steven Pavlov, CC BY-SA 3.0, no changes were made.